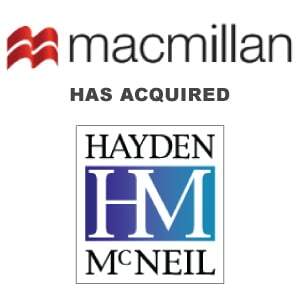 Berkery Noyes Represents Hayden-McNeil Publishing In Its Sale To Macmillan Publishers Ltd. - Berkery, Noyes & Co., LLC. Berkery Noyes Represents Hayden-McNeil Publishing In Its Sale To Macmillan Publishers Ltd.
January 9, 2008, NEW YORK, NY — Berkery Noyes, the leading independent investment bank serving the information and technology markets, announced that Macmillan, a leading publisher of books, textbooks, magazines, and digital media has acquired Hayden-McNeil Publishing, one of the leading publishers of custom textbooks and lab manuals for the higher education market. The acquisition adds to Macmillan’s leading higher education portfolio which includes Bedford, Freeman, and Worth and i<clicker, a leading provider of classroom response systems. The terms of the transaction were not disclosed. Hayden-McNeil publishes textbooks, lab manuals, and curriculum supplements across a range of subject areas and for colleges and universities nationwide. All of Hayden-McNeil’s media is custom-created and, as such, is tailored to the unique needs of individual schools and student populations. The company is recognized for working closely with authors and institutions to create unique and impactful educational materials. The company prides itself on its client service and a unique collaborative process that results in extremely high product quality. Hayden-McNeil has been experiencing rapid growth as demand has accelerated for customized educational media and materials. The merger with Macmillan is expected to provide Hayden-McNeil with a platform for future growth by delivering the added reach and resources through access to Macmillan’s educational technology, content, and distribution assets. “Hayden-McNeil and Macmillan Publishers complement each other well in terms of culture and shared vision for the future of higher education publishing” said Peter Ognibene, the Berkery Noyes Managing Director who handled the transaction for Hayden-McNeil Publishing. After the acquisition, Hayden-McNeil will continue to operate as a stand-alone business within the Macmillan portfolio, with its primary offices remaining in Plymouth, Michigan. The current management team of Jeff McCarthy, President, and Jim Cooper, Finance Director will continue to lead the company. Macmillan is expected to provide investment and ongoing support for the company’s growth strategies which target new markets, new products, and the additional of additional traditional and digital content and services for its authors. 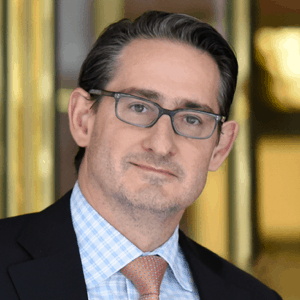 Berkery Noyes initiated the transaction on behalf of Hayden-McNeil Publishers, acted as its exclusive financial advisor, and represented it in its negotiations with Macmillan Publishers. About Hayden-McNeil – Hayden-McNeil Publishing provides course-specific instructional materials with the highest quality and best value for college instructors and students. Hayden-McNeil works with authors and sells books at colleges and universities throughout the United States. Hayden-McNeil Specialty Products sells carbonless notebooks for use in college and high school science lab courses in the United States and other countries. The company’s line of laboratory notebooks provides the best of features, quality and value, combined with outstanding customer service. For more information, visit www.hmpublishing.com. About Berkery Noyes – Berkery Noyes is one of the pre-eminent merger and acquisition firms serving the information industry, having completed more than 400 transactions since its inception. Among the most recent transactions completed by Berkery Noyes are: Interwrite Learning in its transaction with eInstruction, a Leeds Equity Partners portfolio company; acquisition of eInstruction by Leeds Equity Partners; Monotype in its transaction with Calvert Street Capital Partners; Psychological Services, Inc. (PSI), in its transaction with ABRY Partners; acquisition of Discovery Cracker by Wolters Kluwer; acquisition of NameProtect by CSC; and Asset Control which received an investment from Fidelity Ventures. About Macmillan Publishers Ltd. – Macmillan is a global publisher of fiction and nonfiction books, educational content & services, scientific information, magazines and digital media. In the US, the group includes Farrar, Straus & Giroux; Henry Holt; St. Martin’s Press; Tor Books; Picador; Macmillan Audio; Bedford, Freeman & Worth, and Scientific American Magazine. Macmillan is the US subsidiary of Verlagsgruppe Georg von Holtzbrinck, GMbH, a global media company based in Stuttgart, Germany. Bedford Freeman and Worth is one of the nation’s leading publishers of textbooks and other curriculum media and materials for the higher education market. Its publishing houses include Bedford St. Martin’s, W.H. Freeman, and Worth Publishers. The group also includes i<clickers, a leader in the market for classroom response systems. For more information, visit www.macmillan.com.